Intel is at it again. Intel is very frequent and accidental in releasing new chipsets and processors for the next generation. It’s obvious because AMD is giving it a good competition and Intel doesn’t want to lose its big pie in the market. So, after the Kaby lake processors, it decided to launch the Coffee lake processors. But the worst thing Intel did is that they produced a different chipset for these 8th gen processors which aren’t backward compatible. The Intel Z370 chipset seems very much like the previous chipsets Z170 and Z270 and the motherboards will have the same socket but Skylake and Kaby lake processors won’t be compatible with this chipset and Z370 motherboards. But as the platform is new there are some big changes also and I will explain why it’s worth getting the new Z370 platform if you are just building a new PC. It’s true that it’s a successor of the Z270 chipset be the fact that there is no backward compatibility. But most of the features are exactly the same. 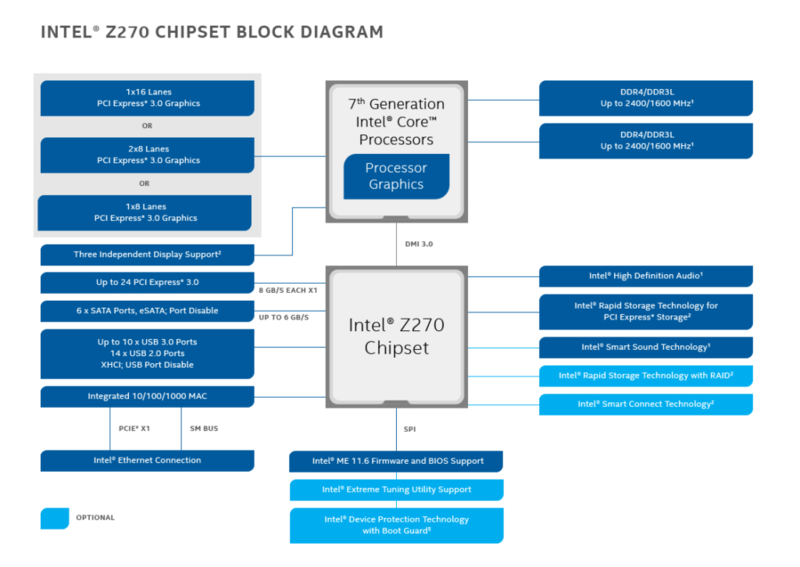 Right now Intel doesn’t have any block diagram for easy explanation of the Z370 chipset, unlike the Z270 which has the following diagram. Specs wise both the chipsets are exactly similar. Both the chipsets feature same lithography, TDP, Bus speed, Overclocking and no. of DIMM per channel. PCI express configuration and Max no. of PCI lanes are exactly same i.e, 24. The block diagram of the Z370 chipset will be 95% similar to the above one. Shockingly the processors of Coffee lake have the same Intel HD graphics as the Kaby lake processors. So, is there anything different? Yes, there are only a few minor tweaks. Number 1 is the addition of Intel PTT(Intel Platform Trust Technology) and Intel Device Protection Technology with Boot Guard. Both are for the protection of security keys and storage device encryption. But that’s only a minor change in my opinion. If someone would want to upgrade their platform from Kaby lake to Coffee Lake, he would want better features in the chipset like more bandwidth, power efficiency or support for better overclocking. However, the second addition in the Z370 chipset is the PCI-E Raid configuration along with Sata Raid. So, you can add faster storage devices in Raid for faster performance. This one is a good change. Other than these, you will get no other additional feature. Then why should you use Intel Z370 Chipset? But then why I am recommending the new platform over the Kaby lake? It’s simple. Because of the Processors. It’s true that the new Z370 chipset doesn’t bring any strong technology in the field but the new Coffee Lake processors are. New Coffee Lake Processors are having major improvements. Now traditionally the Intel Core i3 is known to be having 2 cores with 4 threads, Core i5 for 4 cores/4 threads and Core i7 for 4 cores/8 threads. But that has been completely changed. Now, the Coffee Lake Core i3 is equipped with 4 cores/4 threads, Core i5 with 6 cores/6 threads and Core i7 with 6 cores/12 threads. This is a move which Intel made fearing the competition of AMD’s Ryzen processors. AMD Ryzen 3 provides fantastic Ryzen 3 1200 and 1300X processors at the price of Intel core i3 but having double the cores and also unlocked. The previous generation Intel Core i3 processors still had faster single core speeds, so Intel took a clever move of increasing the core count to 4 which will now run even at higher single core speed with the latest technology and will beat the Ryzen 3 processors. For Ryzen 5 processors, it launched the Intel core i5 8400 with same amount of cores as that of Ryzen 5 1600 but with 6 less threads but 2 more cores will now give faster speed over the Ryzen 5 processors making it ideal for those who prefer gaming over productivity but will also be able to do some productivity themselves. Asus is my favourite maker of motherboards and is considered to be the best brand because of the features and reliability. The last motherboard which I used from Asus was the Asus Z170 Pro gaming which I am still using in my testing rig. That motherboard is solid as hell and easy to work with. 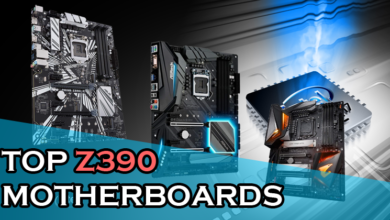 I will be reviewing most of the motherboards with Z370 chipset in this list from Asus because there are several options to choose from for every budget. 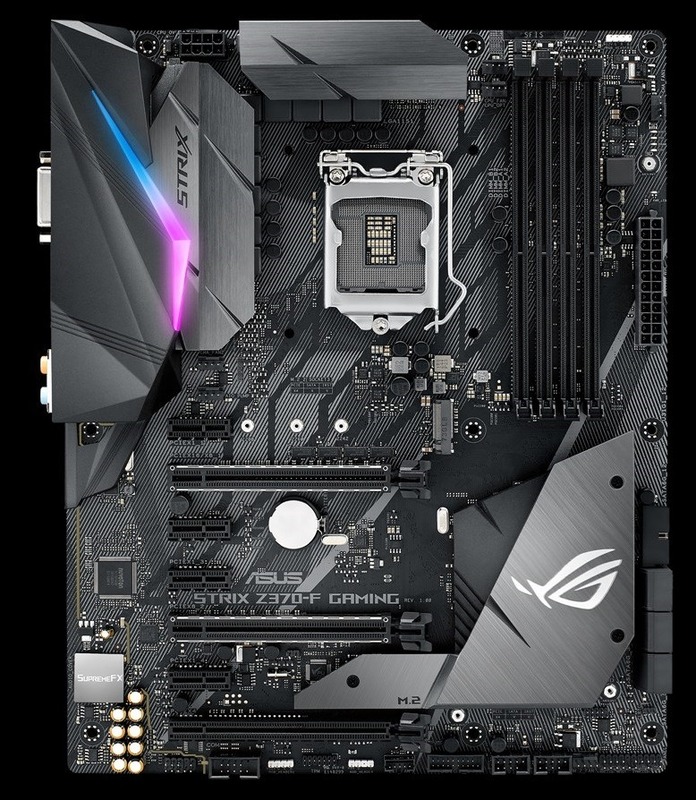 The Asus TUF Z370 Plus gaming motherboard comes for around $160 and should be your starting point if you are planning to build a mid or high-end PC. This motherboard features good overclocking and some unique design on the PCB. The PCB is black in colour with yellow accents all over it. The design at the left side is unique as the width of the PCB at the middle is lesser than top and bottom. This is done for easy wiring of ATX 24 pin power cable. As some cases have the routeing holes too close to the motherboard, it may pose a problem to properly bend the cable if the 24 pin power connector is too close. 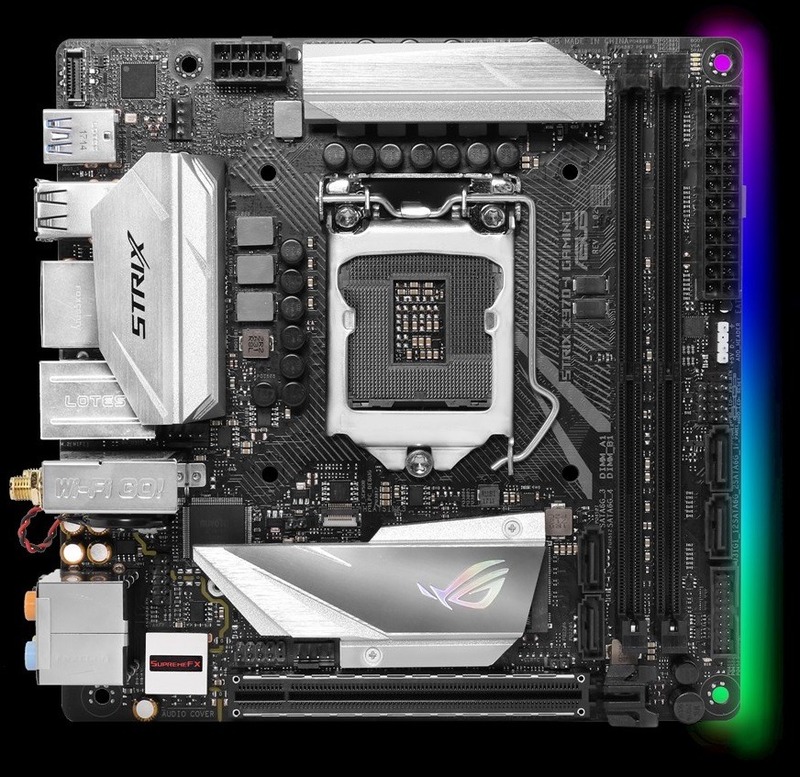 The motherboard comes with RGB LED’s at the right-hand side at the rear that you can customize with the Asus AI suite software which is very easy to use. The TUF GAMING logo will also light up when you use this feature. However, there is no other lighting zone on the PC other than that. The motherboard features two heatsinks, the one on the I/O is very big and gives it a great look and the chipset has a smaller heatsink with an eagle type logo. For storage devices, it has 6x SATA 3 ports at the bottom. These are mostly present at the right-middle side of a motherboard but this time they are at the bottom and are not perpendicular to the PCB, so the bend in the SATA cable will be visible. At the top of the first PCI-Ex 16 slot, there is an M.2 Slot for NVME SSD which doesn’t have any dedicated heatsink for itself. For this price, it’s just fine. For adding Wifi cards/ Sound cards, there are a total of 4x PCIx 1 slots and for graphics cards, there are two PCI-Ex 16 slots that support AMD CrossfireX but not Nvidia SLI. So, it’s a basic motherboard for using a single GPU configuration. For Ram, there are 4x DIMM slots which have one Latch on each side fixed and can support up to 64GB of Ram overclocked up to 4000Mhz which is insane. So, make sure you take maximum advantage of that. And for cooling, there are a total of 5x Fan headers out of which one is for the CPU fan and the other three can be used for Chassis fans or Custom water loop if needed. The location of these fan headers are scattered in different places and for using the front USB 3.0 ports, you can either use the USB 3.0 header at the right-middle or at the bottom of the PCB. The only thing I didn’t like in this motherboard is that there are only 6 USB ports out of which 2 are USB 2.0. Most of the high-end motherboards have 8 USB ports but that’s a thing you can still manage with. 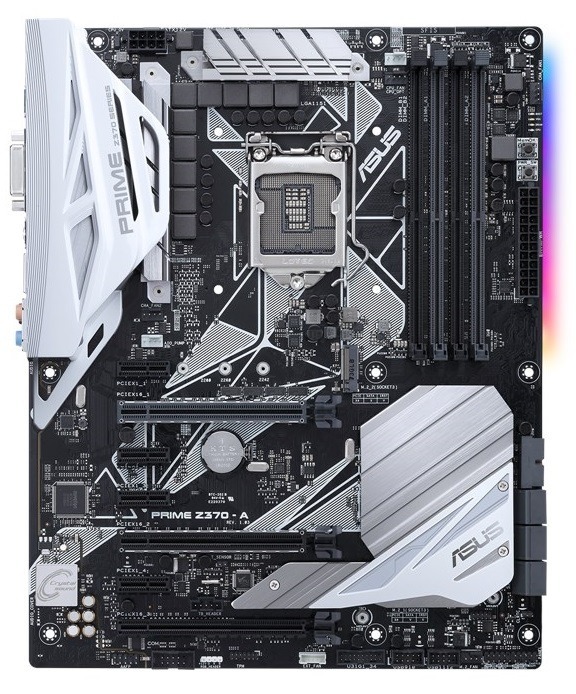 For a little more money, you can get the Asus Z370 Prime motherboard. Asus’s Prime series motherboards are always been the best overclockable motherboards at a budget. The Z170 and Z270 chipset motherboards also have the Prime series and they cost nearly as this one. So, if you want to build a high-end gaming computer, you can consider this which will provide you with some benefits over the Asus TUF gaming motherboard. 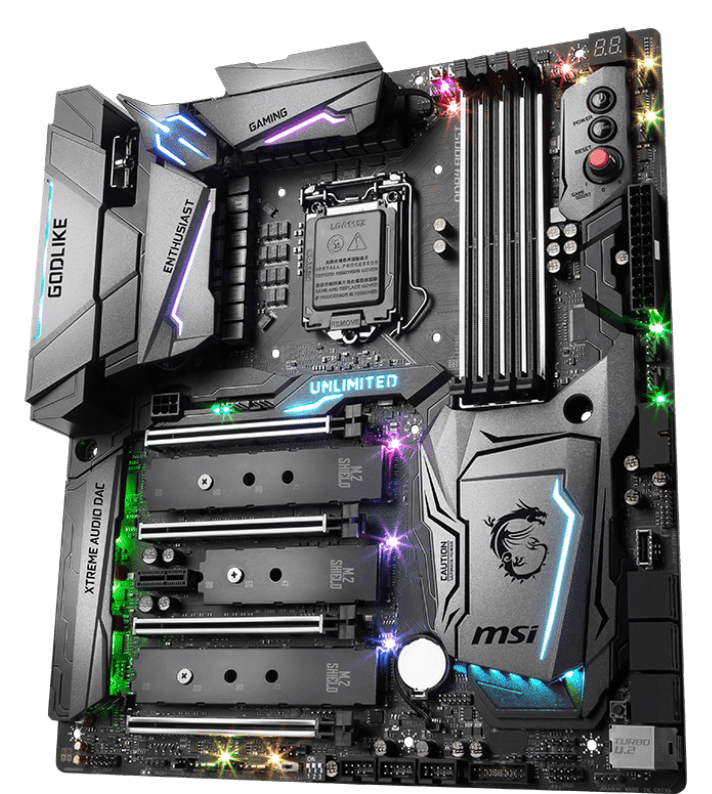 The first and the biggest advantage of this board over the TUF is that it has 3x PCI-Ex 16 slots out of which two are steel Armoured and support two way SLI and three-way AMD CrossFireX. So, this one is for those who want to use multi-GPU setup for very high-end PCs. 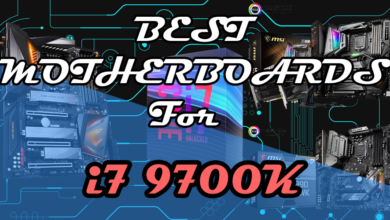 If you are going to use two GPU’s with i7 8700K, then you will have no bottleneck with this motherboard. 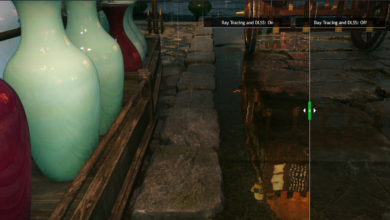 It will be sufficient for 4k Gaming. The Ram support is also great that supports up to 64GB of Ram overclocked up to 4000Mhz. 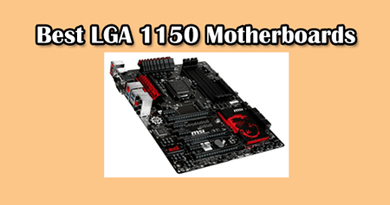 The design is similar to the Z170 and Z270 chipset motherboards and can be easily recognized as a Prime motherboard. It has big white heatsinks all over the place with PRIME and ASUS logos. The motherboard PCB also has some white accents and comes with RGB LEDs at the rear. The RGB LEDs are not present from the top to the bottom, so you will have only a fixed section for some beautification. The motherboard will best match with white/black themed gaming PC. The storage ports of SATA are present at the right bottom side and are right-angled to the PCB, so make sure you use a good case which has several cutouts for easy routeing. The bend in the SATA cable will be much less and you can add up to 6 Hard drives or SSD’s on this motherboard. There is a USB 3.0 front header nearby those SATA ports and is similarly perpendicular to the PCB. The second great advantage of this board is that it comes with 2x M.2 Slots for installing NVME SSD’s which are blazing fast. One is present at the top of the first PCI-Ex 16 slot and one. Yes, it’s true that I am also a fan of Gigabyte Aorus motherboard. Although, the quality may not be equal to the Asus boards but you can’t tell any major difference. I am using an Aorus X370 Gaming 5 motherboard for my Ryzen 7 1700X which is a very good Cpu for its price. 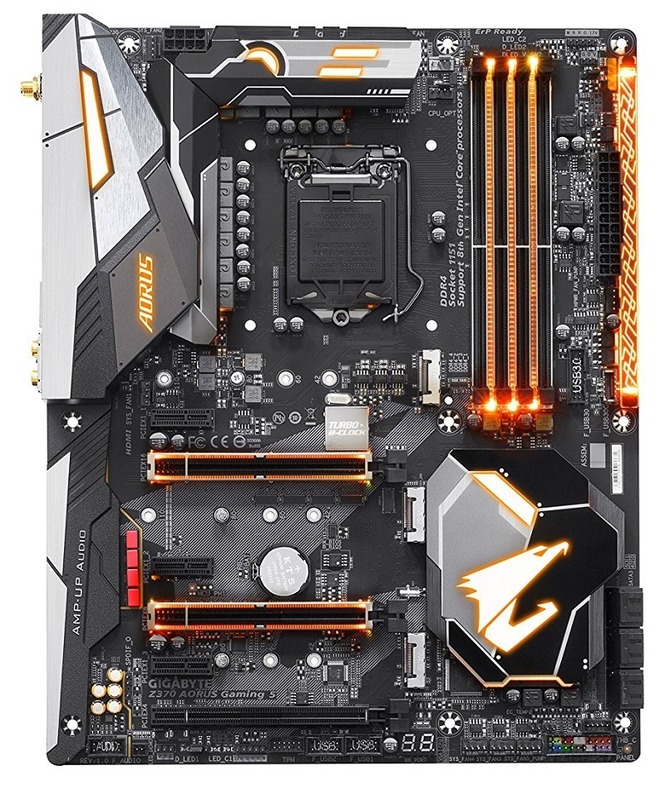 The Aorus Z370 Gaming 5 is very much similar to the other Aorus motherboards in design. It has the same type of construction with white and silver accents. The PCB is black and there are several zones for LEDs. The DIMM slots have LED’s in between them although they will not be visible clearly if you install 4 Ram sticks but the right-hand side has a glass strip in which there are embedded LEDs which are RGB with a Zig-Zag pattern. Additional to that, the two PCI-Ex 16 slots also have the RGB LED’s and the top of those slots will be visible but the bottom part will be hidden when you will install a graphics card. And not forget that it also comes with RGB LED strip ports to easily install a custom LED strip for your chassis. The best advantage of this motherboard over the previous ones is cooling. There are a total of 8x Fan headers including the CPU Fan header all over the place which you can use for custom water loops, AIO cooling or chassis fans. One of the fan headers is present near the CPU 8 pin power port at the top-left hand corner which is a much-needed port for connecting a rear fan or radiator fans for the installing at the top. The cables will be hidden completely. Now coming to the storage, it has 6x SATA 3 ports as usual and 3x M.2 slots which are more than enough and are hardly found even in high-end motherboards. the locations of these slots are also appropriate which are near to the PCI slots section. At the bottom, there is a CODE indicator with LED display which is also present in most of the Aorus motherboards which if you know how to read will be good for you to troubleshoot. However, there is no switch for changing bios in case you create some problem while overclocking your CPU or RAM. That is a very handy feature and in case of Ryzen, it has served me several times for troubleshooting and checking the new BIOS. Want to build a compact high-end gaming PC? Then Asus has a great Strix motherboard that isn’t cheap but has all the premium features you would want. Though there will be some limitations like support for up to 32GB of Ram only and presence of only one PCI-Ex 16 slot for graphics card but you get many features integrated such as Supreme FX High definition audio and integrated wifi which is a much-needed feature and people who buy ATX motherboards still need to buy one to install on their motherboard. Although, you can use a low or a very high-end PCI wifi card with huge bandwidth capacity which is limited in this motherboard but still this board supports dual-band frequency of 2.4/5Ghz. It also comes with Bluetooth V4.2 which is very fast and an ethernet port which has the Intel i219V technology that supports up to 1Gbps of the data rate. So, audio and connectivity wise, it’s perfect for any task. 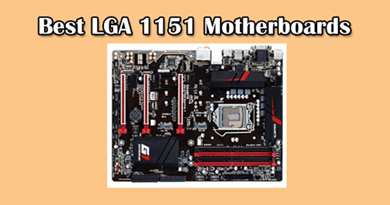 The number of accessories provided with this motherboard is all you will need for upgrading it further in future. It comes with 4x SATA cables, a 2T2R dual-band antenna, a Panel cable, Rog Strix stickers, An addressable cable extension for RGB LED strip and manual. The rear of the motherboard has LEDs that are RGB and will do pretty well if you Sync that with a LED strip. Already, the heatsinks of this motherboard beautify it, the LED will do it more. Now coming to its storage capability, it has fewer SATA ports because of the form factor. There are 4x SATA 3.0 ports which are located in two different places for utilizing most of the space and 2x M.2 slots for faster SSD’s. One of them is at the front with an aluminium heatsink with a ROG logo and one at the back of the motherboard for expanding the storage capacity. 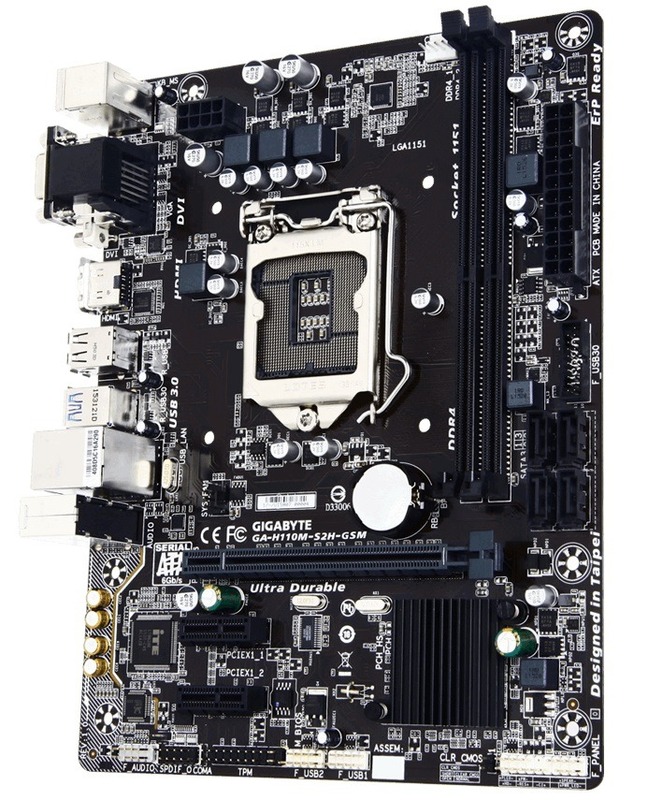 For a small motherboard like this, 2x M.2 slots are appreciable. But there aren’t any onboard buttons for troubleshooting as there is no space, so you have to do them manually in BIOS. The rear is loaded with a lot of I/O ports. There are 3x USB 3.1 ports with 1x USB 3.1 Type C port and 4x USB 2.0 ports. There is one RJ-45 port for ethernet connector, 1x HDMI, 1x DP and 6x jacks for Audio. So, it’s enough for your needs. For cooling, it comes with a total of 3x Fan headers out of which two are used for CPU fan and Chassis fan, and the 3rd one is for AIO cooler. There isn’t enough room for equipping this motherboard with a lot of fan headers, so you will need a Fan hub if you want to increase the fan quantity. This one comes under high-end tier and is designed for overclockers and PC modders. 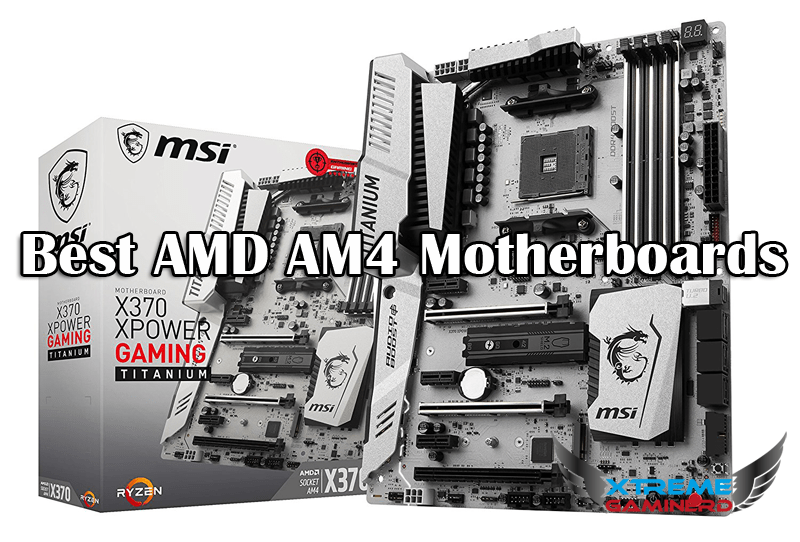 Many of its features are of no use for a simple gamer who wants to build a gaming PC but it’s useful for modders as it has 3D printed mounts that can be used to install this motherboard on 3D printed materials which you may have seen in modding events. You can also add a custom Nameplate on top of the M.2 slot below the CPU socket. In short if you want a high-end gaming PC with all the features that will be useful for you go with the Asus Prime/Tuf or Gigabyte Aorus motherboards and not this one unless you are a modder because the $250 price tag will not justify it’s price to performance. Now coming to its specs, it comes with a lot of accessories like 4x SATA cables, fan holder, SLI bridge, Asus ROG stickers, RGB cable extension, Thermal sensor, Addressable cable extension etc. As the motherboard supports 2 way Nvidia SLI and 3 way AMD CrossfireX, the SLI bridge can come in use but if you are a modder then it’s of your no use. The heatsinks on this board are very powerful with RGB in-built. But there is only one zone in this motherboard that will lit up and no rear LEDs are present. It’s equipped with 3x RGB headers out of which one is Addressable header which is having a max rating of 3A/5V instead of 3A/12V which is the spec of the other two RGB headers. The addressable header can support up to 60 LEDs while the RGB headers support 5050 LED strips which should have a rating of 12V. So make sure you connect the compatible LED strip in each header. There are a total of 4 thermal sensors on the board, one near the CPU socket, 2 in the PCI slots section and one near the bottom-right corner for measuring the temperature. The board is also equipped with Supreme FX audio and has a separate section that is marked by a yellow trace line at the bottom-left corner but you can install a dedicated sound card if you want as there are a total of 4x PCI-Ex 1 slots for wifi cards and sound cards. Two of the 3 PCI-Ex 16 slots have the steel armour and support 2 way SLI/3 way CrossfireX as stated previously and for storage, it has 2x M.2 slots for Nvme SSD’s, one having a heatsink. There are 6x SATA 3 ports as usual with a USB 3.1 port present above them right-angled just like the SATA ports. For cooling, there are a total of 6x fan connectors out of which 2 are for Chassis fans, 1 for AIO pump, 1 for CPU fan, 1 for CPU_OPT fan and 1 for the M.2 fan. You can also use the 5 pin fan extension connector for increasing the fan quantities if you have an ASUS fan extension card. But one big drawback of this motherboard I found is the lack of enough USB ports at the rear. 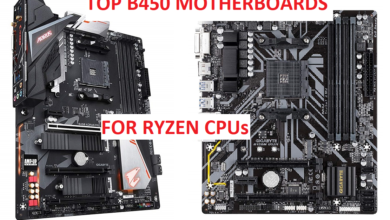 There are only 3x USB 3.1 ports,1x USB 3.1 Type C and 2x USB 2.0 ports which are too less when compared to the other ATX motherboards discussed above. Another drawback is the absence of any onboard troubleshooting buttons such as Dual Bios switch, Reset/power buttons and overclocking levers. This is a superb High-end enthusiast motherboard with no major CON. It’s flawless and there isn’t anything that you would complain of. 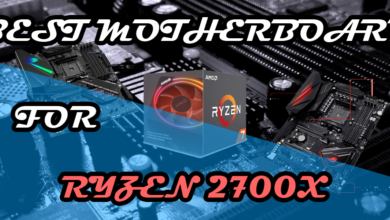 It can be said that it’s a copy of the Asus ROG Strix Gaming motherboard with the connectivity features of Z370-I Gaming and the troubleshooting features that are present in Gigabyte AX370 AM4 motherboard. The I/O panel is filled with tons of features and ports. Just at the starting, it has CLR CMOS and BIOS flash buttons. Even for a motherboard that has onboard bios or CMOS switches, you still have to take it out of the case but in this motherboard, you can take care of that without opening the side window panel. The CLR CMOS button will let you reset everything and the Flash Bios button will help you update your Bios easily with a USB stick. You should refer to the manual for getting into the details accurately. Or you can also use the onboard troubleshooting buttons to fix problems related to specific components. At the extreme top-right corner there is a MemOK button which is for solving the issue related to the Memory problems. 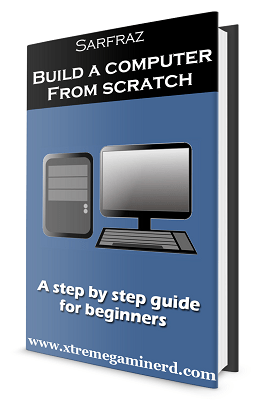 A single press can fix the issue if you get no post from your PC. This is one unique feature Asus has brought into these high-end motherboards. You can check out its short step by step process Here. There are Start, Reset, Safeboot, Retry and Slow Mode switches at the bottom for different purposes. the Start/Reset/Safeboot/Retry buttons can be used for troubleshooting whereas the slow button is used for downclocking your processor. You can experiment with those without any fear because you can use revert back to your older settings easily. For storage, there are 2x M.2 Slots among which one is having a heatsink with RGB LEDs. The I/O heatsink and the chipset heatsink are equipped with RGB LEDs as well. You can use the RGB headers or Addressable extension header for connecting LED strip to sync with your motherboard LEDs. There are plenty of headers present for RGB because, in 2017, there is nothing good without RGB. At the I/O panel, it comes with pre-installed dual-band Wifi and several USB ports which is a much-needed thing. There are a total of 6x USB 3.1 ports with 1 USB 3.1 Type C and 2x USB 2.0 ports that are specifically made for different purposes. One is the Keybot USB and the other one is for BIOS flash. There are one RJ-45 jack and 1x HDMI, 1x DP port for display. Other than that it has 1x USB 3.1 front header on the PCB and 8x Fan headers out of which 3 are chassis fan headers and the others are for CPU, AIO pump and W_Pump. 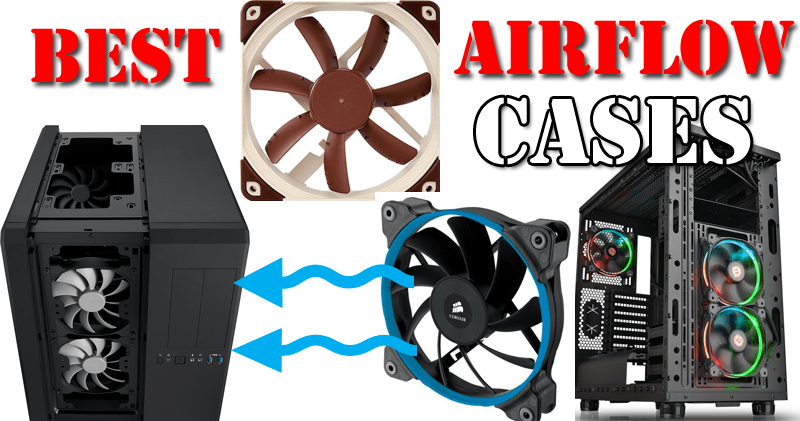 There is also one EXT_Fan header which you can use for connecting more fans to the chassis if you have an ASUS fan extension card. Other features like 64GB memory support overclocked up to more than 4000Mhz, overclocking processor etc. all are present. A perfect motherboard for less than $300. This is the highest-end motherboard right now available for coffee Lake processors and don’t think of using an i3 or i5 on it. Use the i7 8700K with at 2 graphics cards in SLI because that’s what it’s meant for. I don’t recommend going for 3 or 4 graphics cards because that’s useless and most of the games don’t support it properly and if you want to use a single GPU, then better go with the Asus Maximus motherboard. It features 4x PCI-Ex 16 slots with steel armour and 4x DIMM slots also with steel armour for better reliability. The spacing between the PCI-Ex 16 slots is equal for easily installing multiple GPU’s but you won’t be able to install two GTX 1080 TI’s in consecutive slots if the cards are 2.5″ slots thicker. But as all the slots are proper x16, you won’t be having any problem with the speeds. 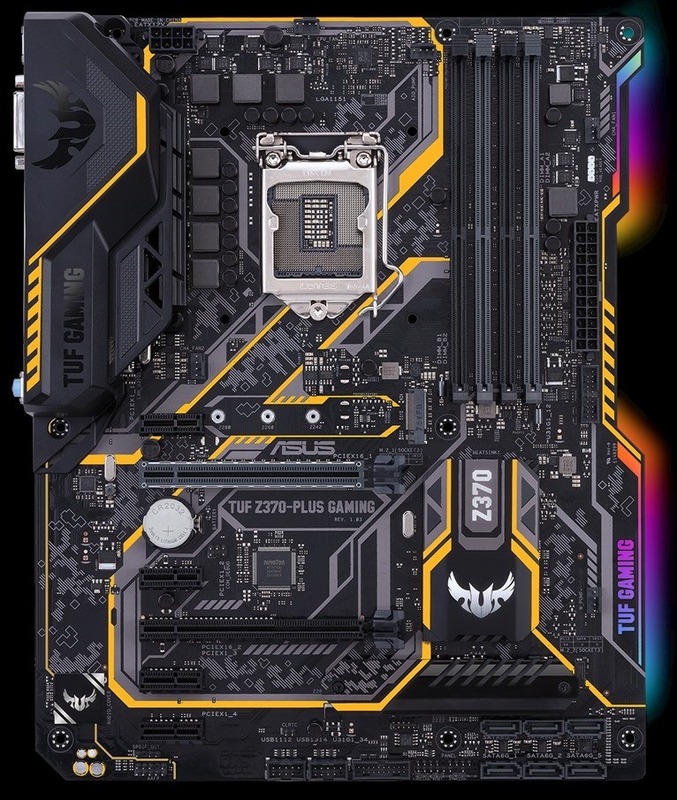 Also, the memory it can support is 64GB max up to 4133Mhz overclocked which is found in most of the high-end or mid-end Z370 motherboards. It comes with a lot of accessories matching its accent. The SATA cables, SLI bridge, RGB header cable, I/O shield all match with the motherboard. It also comes with an M.2 Xpander for installing two more NVME SSD. But wait, it already has 3x M.2 slots with heatsinks. So, what does it means that MSI really wants you to use the fastest storage devices and it’s reasonable because when you are investing $500 for only a motherboard, you should invest in getting the fastest storage devices too? Anyways, you can also use Hard drives on it as it has all the basic ports. Ther are Reset, Power and Overclock lever on the top right hand side. For easy overclocking, you can just use that lever to increase the clock speed rather than going into the Bios and manually increase the clocks. All these additional features for troubleshooting are pre-equipped with this and gives you everything for a high-end workstation/gaming PC. The design is what catches everyone’s eye. The heatsinks are huge and have RGB lighting everywhere. I can’t list down all the sections because there isn’t any section left. It’s becoming a trend to use RGB in everything now. The I/O panel has 8X USB 3.1 ports out of which one is USB 3.1 Gen 2 and one is USB 3.1 Gen 2 Type C port. There are also 3x RJ-45 ports for ethernet connection and all are equipped with Killer E2500 controller. Damn, who is gonna use all those. Also, there is a pre-installed dual Band Wifi at the top. Looks like MSI wants it to be the best networking motherboard. But I really don’t recommend this board to anyone who just wants to experience high-end gaming. 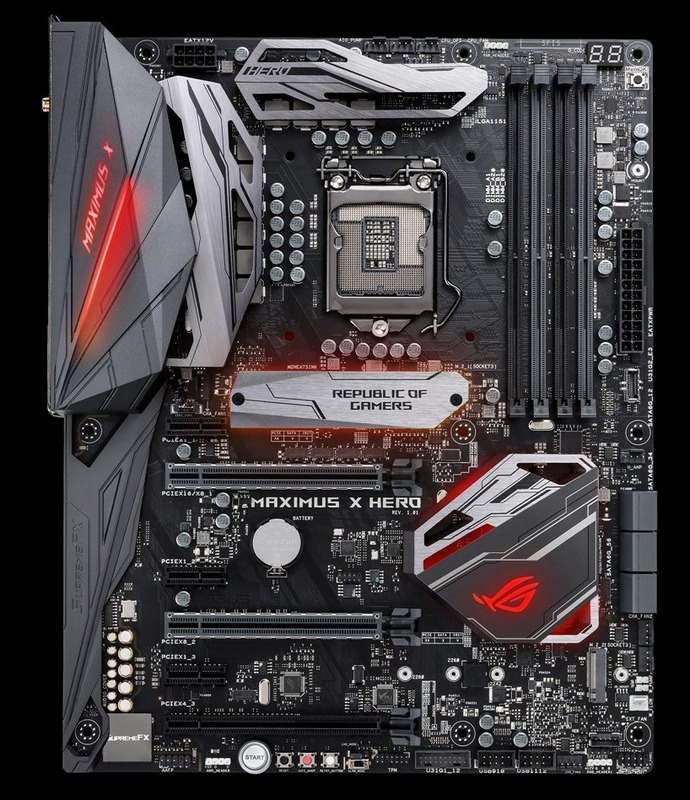 A normal $250-$270 motherboard like the Asus Maximus will be enough for any kind of need. Even though every motherboard on this list which starts from $150 is good for high-end gaming and the MSI Godlike Motherboard is only good for showing off some damn specs.